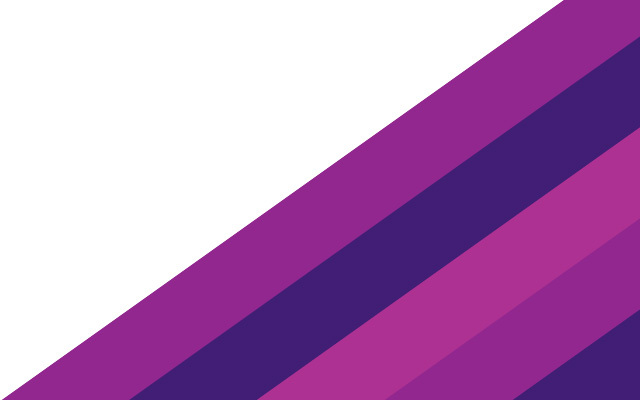 This policy sets out how the Peter MacCallum Cancer Foundation (we) will handle (collect, use, store and disclose) personal information in accordance with the National Privacy Principles under the Australian Privacy Act 1988 (Privacy law) and the Privacy Amendment (Enhancing Privacy Protection) Act 2012. It describes how we will do this in the light of who we are and our mission to raise funds to support the work of the Peter MacCallum Cancer Centre and their vision to provide the best in cancer care, accelerating discovery, translating to cancer cures. The Peter MacCallum Cancer Foundation is committed to protecting your privacy and we are bound by the Australian Privacy Principles in the Privacy Amendment (Enhancing Privacy Protection) Act 2012. We collect, store and use some of your personal information so we can help people touched by cancer. Only authorised staff have access to your personal information: it remains confidential and is only used for appropriate purposes and in accordance with this policy. Unless you give us consent to do otherwise, we will only collect and use your personal information as set out on this page. Please note, if you choose not to provide us with certain personal information, we may not be able to process your donation or provide the information you request. Of course, you always have the right to request us to remove your details from our database or reduce the volume of correspondence you receive from us. from third parties who organise fundraising activities on our behalf. These parties are also bound by the Australian Privacy Principles. The Peter MacCallum Cancer Foundation may occasionally collect basic contact details (name, address, email address, phone numbers, date of birth, gender) from Peter MacCallum Cancer Centre patients who provide their consent through individual patient admission forms. Peter MacCallum Cancer Centre has strict policies in place to protect the privacy of patient information (both personal and health related), which meet the requirements of applicable privacy legislation. Therefore, confidentiality of health information is assured. for any other purpose related to our work. purposes directly related to the above purposes. Your information will not be used for any purpose to which you would not reasonably expect us to use the information provided. We don’t disclose your personal information to other organisations except for our core business purposes; and most importantly, we don’t rent or sell your personal information. However, to help reach more generous supporters like you, occasionally we may collaborate with other charitable organisations on mailings with information that we believe may be of interest to you. These organisations usually allow us to do the same, and by collaborating like this we can reach more people with vital charitable information. Also, to reduce operating and administrative costs, we may securely transfer data to organisations located outside of Australia to produce printed material and electronic communications. These organisations must also comply with, and not breach, the Australian Privacy Principles and are bound by tight agreements which protect your privacy. If you wish to reduce such mailings please call, email or write to us at the address listed at the end of this policy. In order to communicate with you in relation to the activities of Peter Mac, we may disclose your personal information to external organisations to help facilitate our correspondence and fundraising activities with you. We care for, and value the security of your personal information. We will take all reasonable steps to ensure any external organisations we use are contractually bound to privacy and confidentiality obligations in relation to your personal information and that it is only used for the specific purpose for which we disclose it. These organisations are also bound to adhere to the privacy requirements under the relevant legislation and are bound to destroy or de-identify information after using it for a specific activity. government authorities if legally required to do so. We will keep and use your information after you have provided a donation or interacted in some other way with Peter MacCallum Cancer Foundation. How long we hold and use the information after you have ceased donating or interacting with us will depend on the type of interaction you had with Peter MacCallum Cancer Foundation and any requirements under law. Our site uses security encrypted response forms when personal and financial details are requested. These forms are subject to compliance requirements with Payment Card Industry Data Security Standards (PCI-DSS) as well as the privacy principles. However, it should be noted that no data transmission over the internet can be guaranteed to be 100% secure, so we cannot give an absolute assurance that the information you provide to us over the internet will be secure at all times until it is received into our database. Peter MacCallum Cancer Foundation cannot be held responsible for events arising from unauthorised access to your personal information via the web. We may provide links to websites outside of the Peter MacCallum Cancer Foundation service. These linked sites are not under the control of Peter MacCallum Cancer Foundation, and we are not responsible for the conduct of companies linked to our website. Before disclosing your personal information on any other website, we advise you to examine the Terms and Conditions of those websites. We use third-party tracking cookies and similar technologies to collect and use data about user activities on our sites. The third-party vendors, such as Facebook and Google, whose services we use place these cookies and similar technologies on web browsers in order to help us tailor advertising that we think may be of interest to users based on past visits to our site. As always we respect your privacy and are not collecting any identifiable information through these services. Cookies and similar technologies do not in any way give access to your computer. 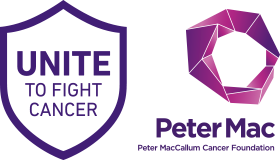 Peter MacCallum Cancer Foundation will endeavour to take all reasonable steps to keep secure any information which we hold about you (whether electronic or in hard copy), and to keep this information accurate and up to date. This includes complying with the Payment Card Industry Data Security Standard, which covers security of payment card information. Your information is stored on secure servers that are protected in controlled facilities. We require our employees and data processors to respect the confidentiality of any personal information held by us and that they abide by our confidentiality policy and procedures. If at any time you want to know exactly what personal information we hold about you, you are welcome to access your record by contacting us at the address below. Our file of your personal information will be made available to you within 30 days. You have a right of access to the personal information that the Peter MacCallum Cancer Foundation holds about you. Requests for right of access should be addressed to the Foundation Privacy Officer (please note that a $20 fee may apply on the delivery of your information in order to cover administrative costs). If you believe that information we hold about you is incorrect or out of date, or if you have concerns about how we are handling your personal information, please contact us and we will seek to resolve those concerns. If you wish to have your personal information deleted, please contact us and we will take reasonable steps to delete it unless we need to keep it for legal, auditing or internal risk management reasons.